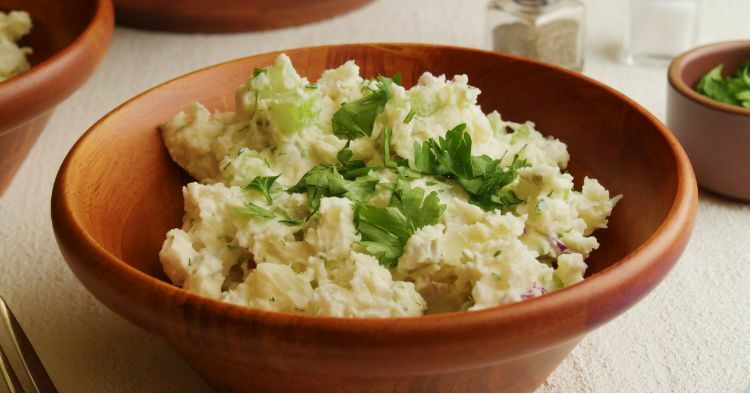 For some people, potato salad isn’t potato salad without a hearty dose of dill pickle bits or relish. If you're one of those people, this is your recipe. It’s a classic potato salad with a creamy mayonnaise-based dressing, lots of diced dill pickle and minced fresh dill. Diced celery and red onion give it color and crunch. You might notice there's a secret ingredient here. It’s the pickle brine (the juice from the pickle jar). Just a splash of it tossed with the warm potatoes infuses the whole dish with subtle but impossible-to-miss dill pickle flavor. 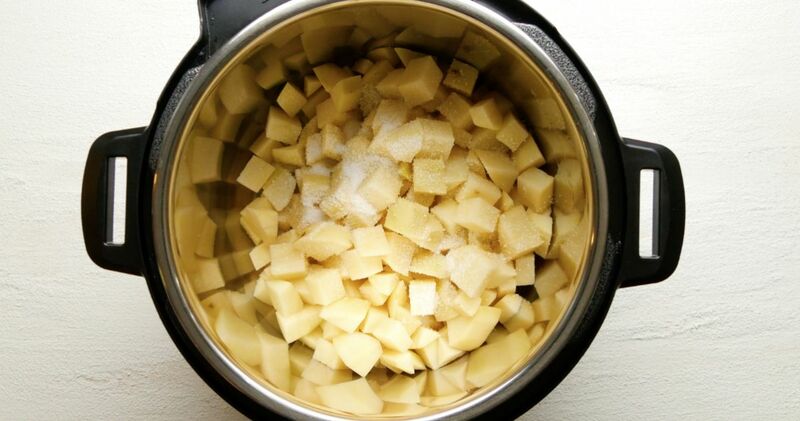 Transfer the potatoes to a large mixing bowl and toss them with the pickle brine. Let stand until cool, about 15 minutes. Add the pickles, celery, onion, mayonnaise, mustard and dill to the potatoes. Fold gently to mix. Season with salt and pepper to taste.